When I walk into a yoga studio, and I see a gong, I know things are about to get serious. Or at least that's how I felt when I walked into my Core Fusion Yoga class at Exhale. The yoga studio is a separate room that has a fabulous view of Peachtree Street and the gong that I mentioned. Kristin was wonderful about going around the room and introducing herself to people prior to class. And throughout the class, I loved that she walked around adjusting people’s form and offering modifications. The Exhale approach to yoga blends flow yoga with the core workout that their classes are known for. For example, we did sun-salutations and warrior poses, which would be followed by sequences of isolated thigh, arm, and ab work. For an hour, Kristin worked both our minds and bodies until we were sweaty and our cores were begging for mercy. So, what did I think? 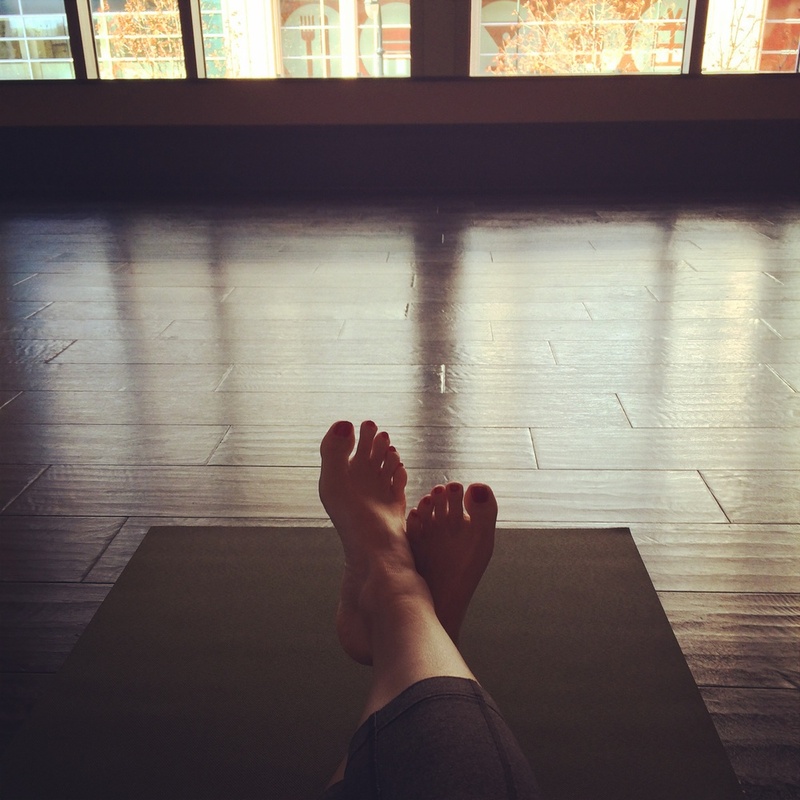 I love Kristin’s teaching style (I’ve taken her classes before), and I enjoyed the yoga aspect of the class. However, when given the preference, I’d rather be challenged by the flows and poses vs. the more athletic core exercises we would occasionally do. I guess I’m more of a yoga purist. This particular class wasn’t a complete “fit” for me, but I’d definitely recommend it to others — especially those who are looking to try yoga but prefer a more athletic approach.